Iam looking for any information of Mary Frances Tunnicliffe from Bournemouth (latest 1977). In 2017 I want to lay down some flowers onto her grave. My name is Gerd von Seggern of Ganderkesee near Bremen. I want to look into the past. My father Heinz-Oscar von Seggern was in England as a young boy, caused with safety-reasons to the Naziregime. He lived in a privat hostage of Mr. and Mrs. Tunnicliffe. - Husband was Gerald Tunnicliffe, solicitor, * ca. 1890; +24th march 1969 Bournemouth. 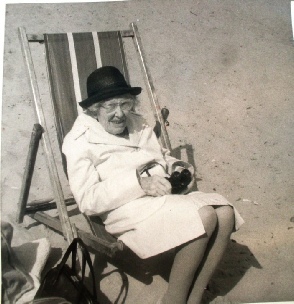 - In 1976 an 1977 my father and me visited this lady, at that time she lived at Durley-Dean-Hotel Bournemouth. - I mean, she died at Boscombe Hospital (unsure). One year later my father died with 54 with lungs-cancer. Some years later in the 80th I visited England again, but I cant find a track about Mrs. Tunnicliffe. Could you help me to find more out about Mrs. Tunnicliffe ?. Born / died / buried / cremated => grave ? Can any nearby church give an information ? At Bournemouth Crematorium a May Tunnicliffe was listened.